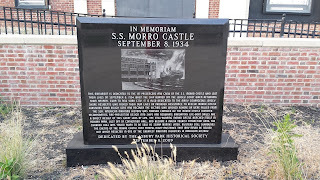 If you are from the Jersey Shore, or have ever visited the Jersey Shore, it is likely that you have heard of the Morro Castle disaster. 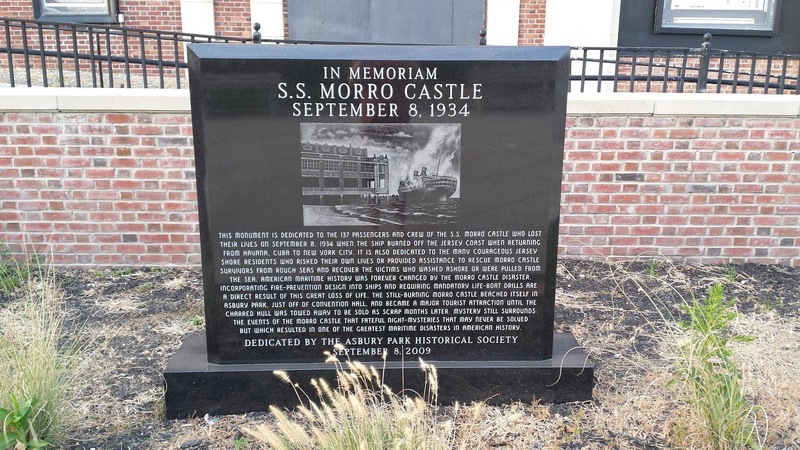 The Morro Castle was a ship built in 1930 by the Ward Line (no relation!) 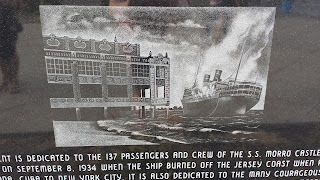 for voyages between New York City and Havana, Cuba. In the evening of September 7, 1934, the captain of the Morro Castle, Captain Robert Willmott, died in his cabin of an apparent heart attack. 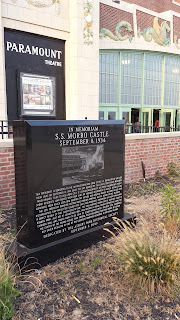 On the morning of September 8, 1934, a fire broke out in a storage locker within the First Class Writing Room on B Deck. 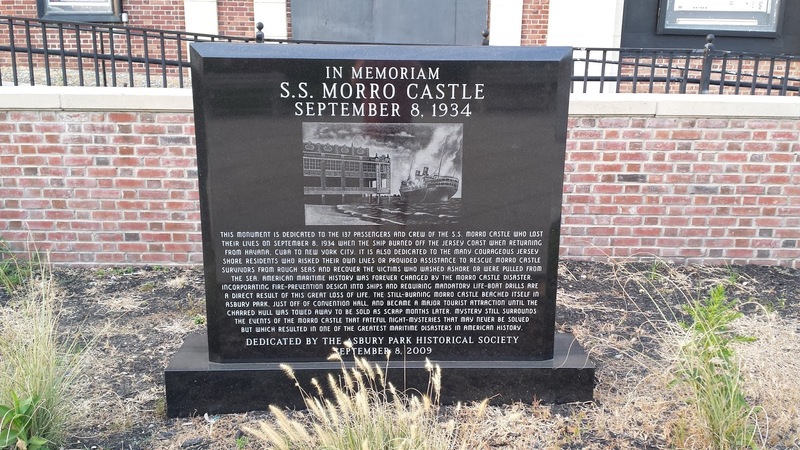 Within 30 minutes, the Morro Castle was engulfed in flames. The fire took the lives of 137 passengers and crew members. 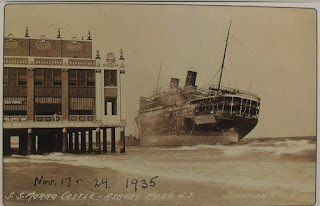 The ship eventually beached herself in Asbury Park, NJ, and remained there for several months before being towed and scrapped. While the ship was beached in Asbury Park, it became a sort of morbid tourist attraction. 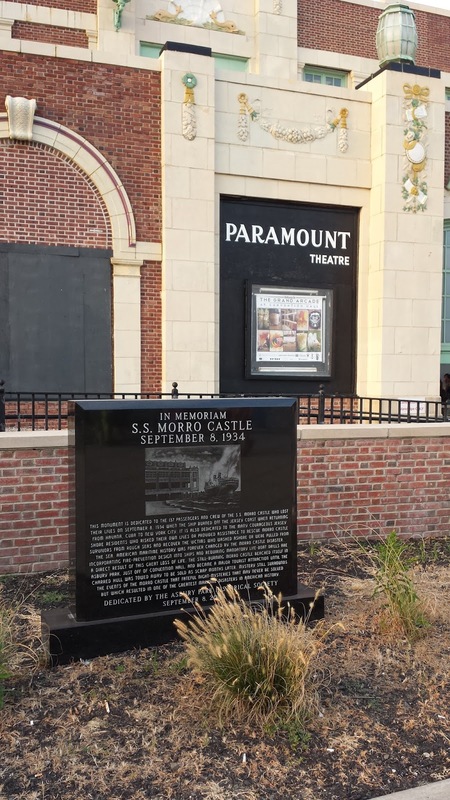 A monument dedicated to the memory of the Morro Castle stands next to the Paramount Theatre on the boardwalk in Asbury Park. 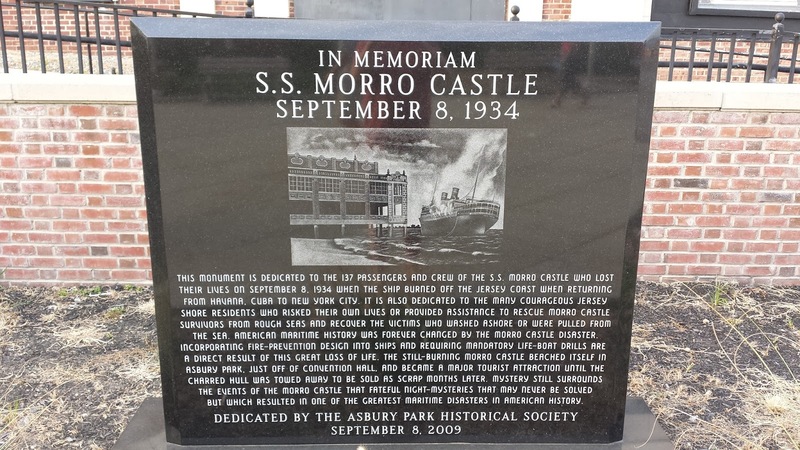 The monument stands close to the actual location where the Morro Castle ran ashore. Some accounts claim that the Paramount Theatre was used as a morgue for the deceased following the disaster. 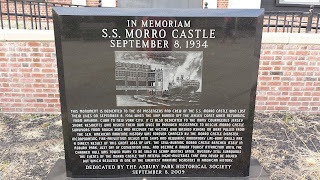 Labels: Asbury Park, Atlantic Ocean, Jersey Shore, Maritime History, Marker, Monument, Morro Castle, New Jersey, Public History, Shipwreck, Twentieth Century History, Weird N.J.